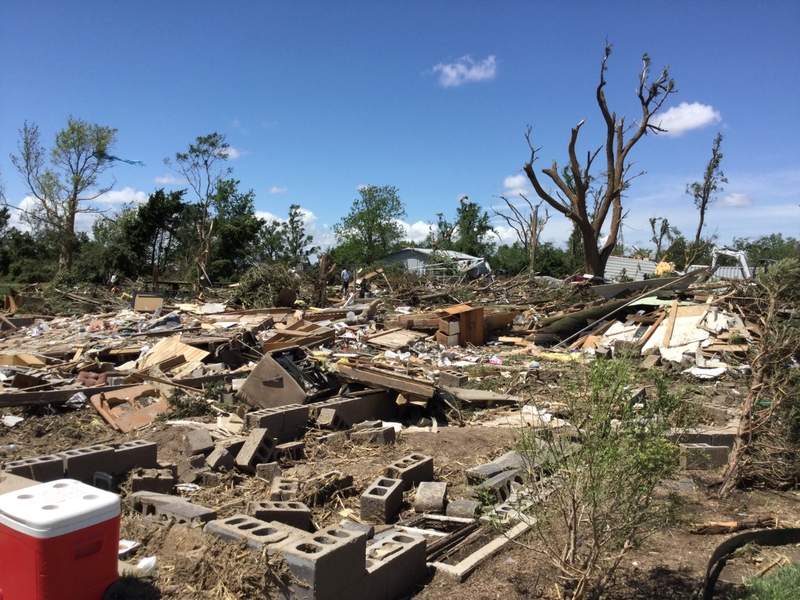 An outbreak of severe thunderstorms and tornadoes from the Texas Panhandle/western Oklahoma northward into southwest and central Kansas and into the Upper Midwest occurred during the afternoon to evening hours of 16 May 2017. 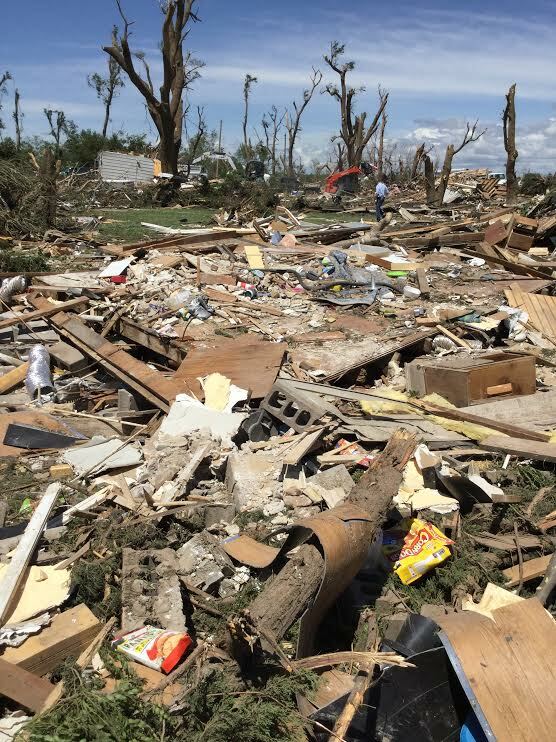 Several supercells developed over southwest into central Kansas with one of these storms resulting in several tornado reports. 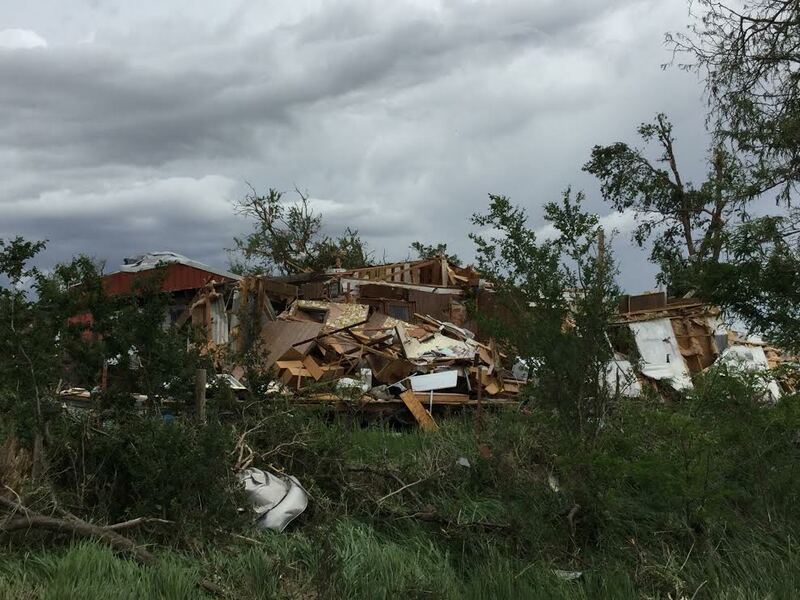 An initial tornado with this storm occurred south-southeast of Minneola shortly before 6 pm CDT and was rated EF1 with a path length of 4 miles. 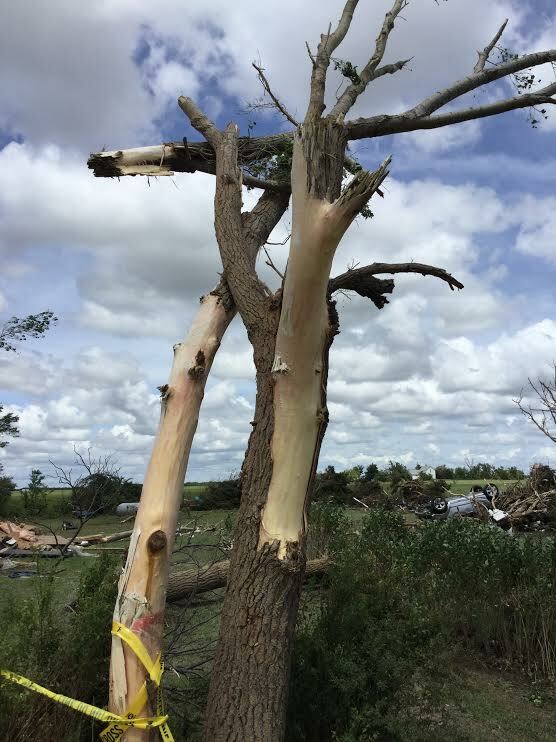 A second, EF3 tornado started shortly before 8 pm CDT 4 miles east of Larned in Pawnee County and tracked a total of 27 miles across Pawnee into Barton Counties before lifting northwest of Hoistington in Barton County at 840 pm CDT. 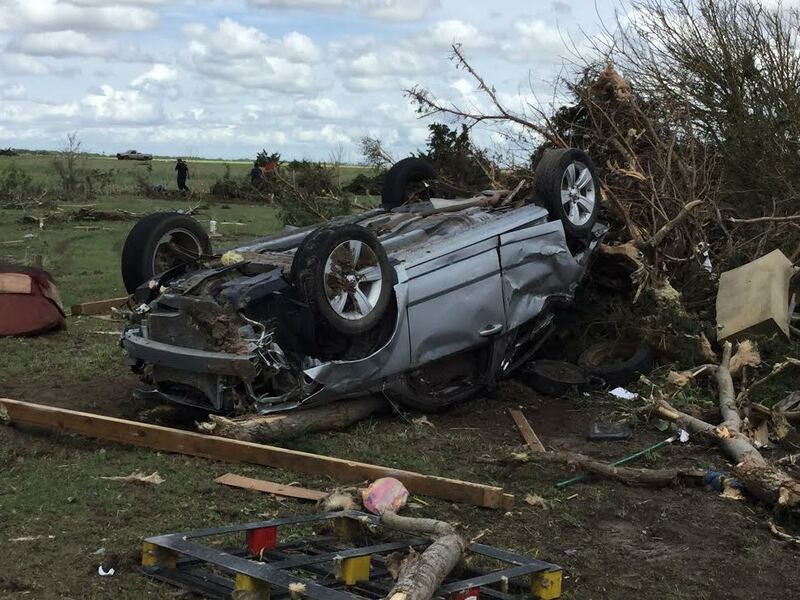 Short-lived and mostly rain-wrapped EF1 tornado that began 5 miles south of Minneola near Highway 283. 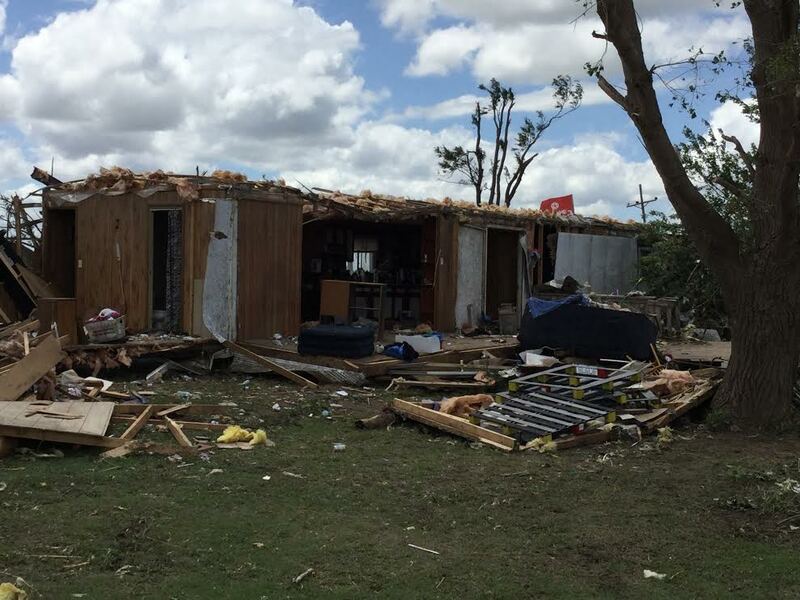 The tornado moved quickly to the east-northeast before dissipating 5 miles southeast of Minneola. 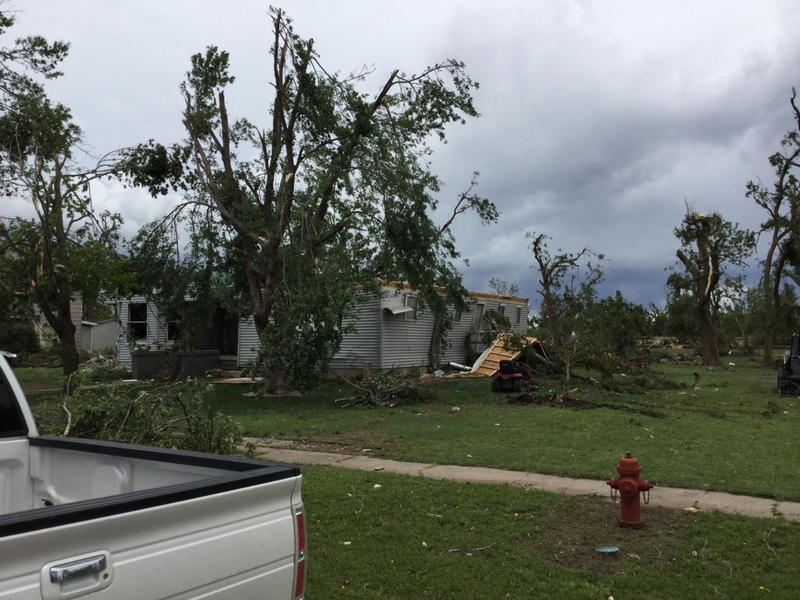 Tornado began 4 miles east of Larned in Pawnee County and tracked northeast for five more miles in the county. 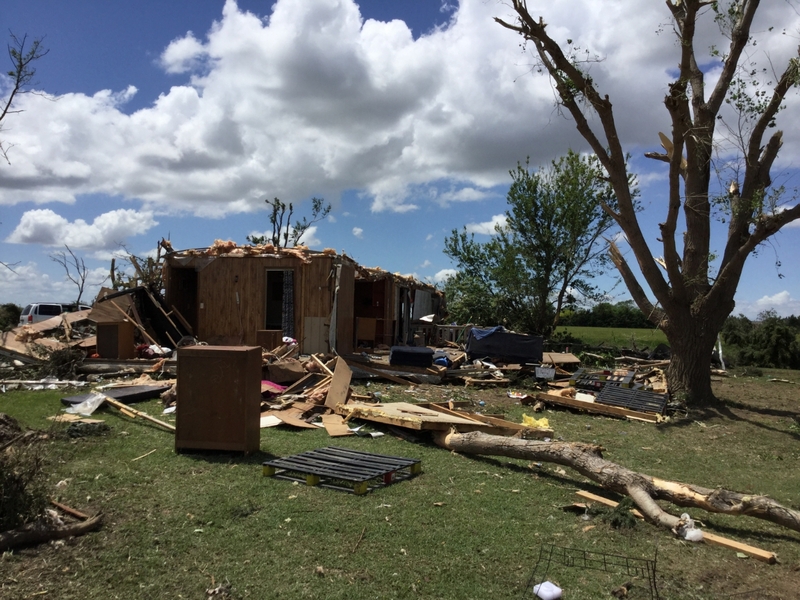 The tornado continued for another 22 miles in Barton County and ended 2 NW of Hoisington. 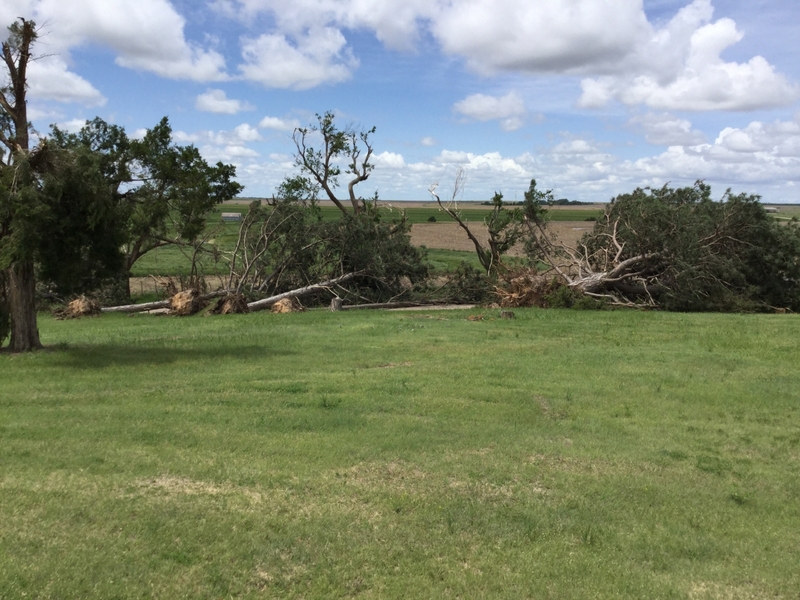 EF1 damage was seen in Pawnee County followed by EF2 damage in the town of Pawnee Rock along with EF3 damage west/northwest of the Great Bend Airport in Barton County. Radar reflectivity from the Dodge City radar from around 5:53 PM as the storm was south-southeast of Minneola. Storm relative velocity from the Dodge City radar from around 5:53 PM as the storm was south-southeast of Minneola. Radar reflectivity from the Dodge City radar from around 8:03 PM as the storm was approaching Pawnee Rock. Storm relative velocity from the Dodge City radar from around 8:03 PM as the storm was approaching Pawnee Rock. Radar reflectivity from the Dodge City radar from around 8:12 PM northeast of Pawnee Rock. Storm relative velocity image from Dodge City's radar around 8:12 PM northeast of Pawnee Rock. Dual-pol product (Correlation Coefficient) from around 8:12 PM, showing debris being lifted by the tornado.